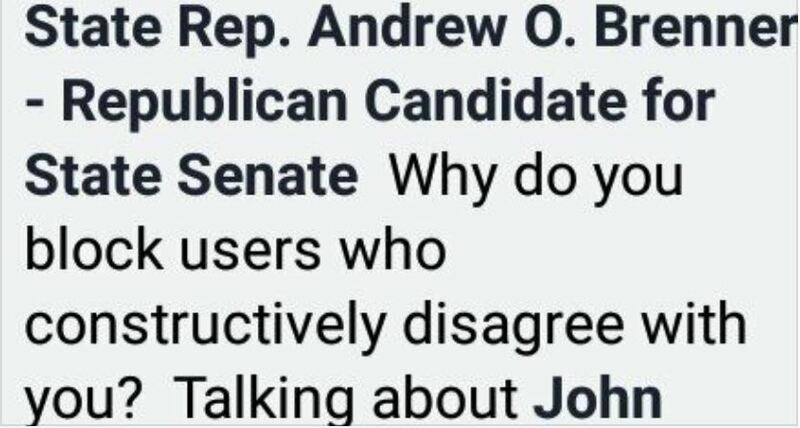 Open Letter To Rep. Brenner: What About The First Amendment And Social Media? I’ve always wanted to write one of those open letters that we see so much of these days. By their nature, open letters usually are crafted as vehicles of concern, rebuke, disgust, rage, or some other emotion that motivates a person to pick up a pen or sit down at the keyboard. But this open letter, Andrew, is different. Though I’m a senior citizen now and six years into retirement, it’s the first one I’ve ever written, and you’re the lucky guy I’ve chosen to address on my maiden voyage to that emotion-filled place called Open Letterland. You’ll find no strong words or rage here. To the contrary, please keep reading so that you’ll find this letter an expression of delight, a feeling of pure joy in what the news has brought us this week. Yes, that joy is found in the act of a federal judge instructing a politician – in this case, your party’s Dear Leader, Donald Trump, that the First Amendment is foremost in our expressed rights in the United States Constitution. In case you might be confused in your thinking about constitutional rights, Andrew, the First Amendment in our Bill of Rights is placed in the sacred charter before your beloved Second Amendment. So it is that the numeral one comes before two, as First is to Second, and the court made it clear this week that the First Amendment holds a preeminent place among all of our constitutional rights. 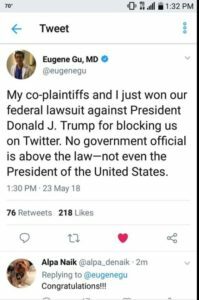 Siding with the Knight First Amendment Institute in a lawsuit against Trump and his communications team, U.S. District Judge Naomi Reice Buchwald in New York concluded that blocking people on Twitter violated their First Amendment rights. Trump was engaging in unconstitutional viewpoint discrimination by blocking critics in a “public forum,” the court ruled. Those who know you and are familiar with your and your wife’s behavior toward those who express criticism of your political views are now waiting for some statement regarding how you feel about the First Amendment and social media in light of the federal court’s decision. And yes, Andrew, we are well aware of your position on the Second Amendment. It’s your views on the First Amendment which your constituents, indeed all Ohioans, want to hear more about from you. 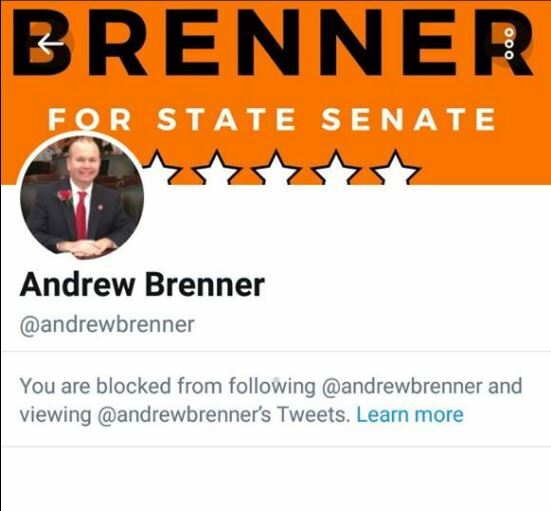 Your behavior toward those who have been blocked on Twitter was the catalyst which drove a few of your own constituents in Delaware County to establish a Facebook page entitled, appropriately enough, Blocked Constituents of Andrew Brenner. In light of the ruling by the court, the formation of this group a few months ago was a precursor for the decision handed down by Judge Buchwald. Is Andrew Brenner your Representative? Have you engaged in civil dialogue with him on Facebook, only to have him or his wife block you because they disagree? Typically following it up with a nasty response not allowing you to reply? Then this is a community designed to continue those discussions off his page. Your voice matters even if he tries to take it away! It seems that you have a knack for getting people riled up, as the Blocked Constituents webpage demonstrates. Do you remember this exchange a few months back? 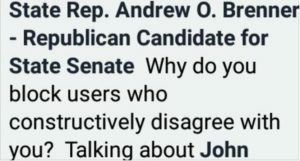 Also, do you think constituents will be calm when many more will soon realize your wife boasted several months ago that Brenner & Brenner typically block 1-2 people each day from commenting on your posts? At that rate, you’re banishing up to 700 people annually for merely expressing their First Amendment rights. For someone who so aggressively espouses school choice, which others perhaps more accurately call school privatization, you don’t seem to like the fact that people have a choice in what they believe and the right to form and express an opinion about your opinions. In retrospect, Andrew, it’s not been a good week for you or for your party. 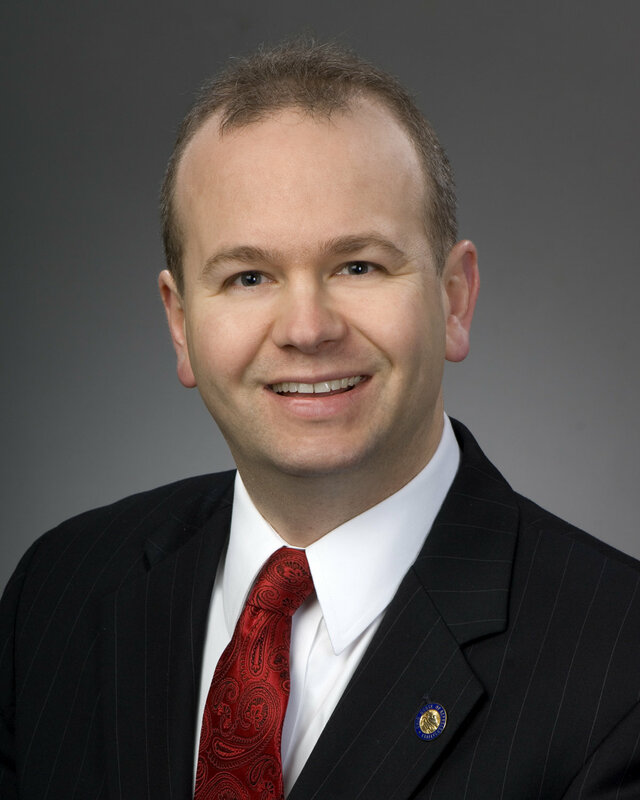 Your friend, Dear Leader Trump, was seemingly educated about the First Amendment by a federal judge, while you were labeled disingenuous in a Columbus Dispatch story regarding campaign contributions you received from ECOT’s William Lager. In other times we had leaders with names like Philip the Fair and Ethelred the Unready. With your penchant for condescension and blocking statements you disagree with on social media, will you be our era’s Andrew the Unfair or Andrew the Disingenuous? Or how about Andrew the Blocker? Surely, you must have Richard Nixon, who maintained a pre-Tweeter Enemies List, as one of your heroes. 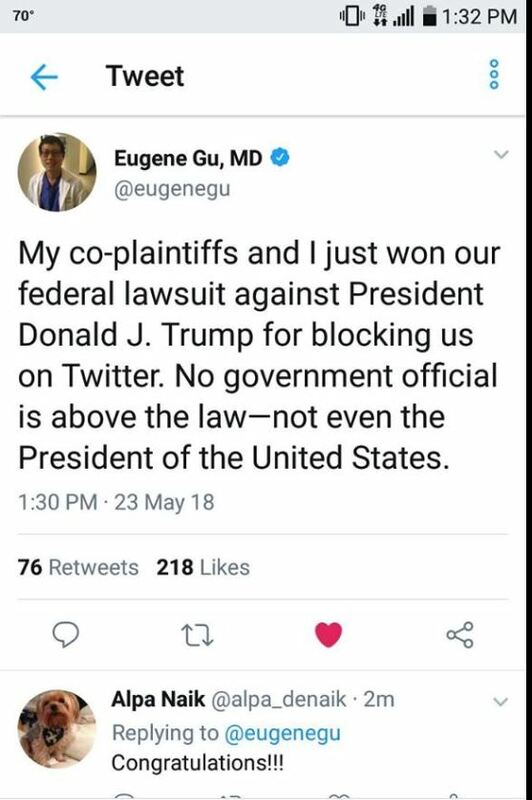 You and Trump are not above the law. Please start acting like someone who respects the First Amendment as much as you respect the Second. PS – Please don’t block me for writing this open letter or for airing this particular thought. When are you going to return the ECOT money? Public school districts would like to have these funds returned to them. We’d like to read about such an action of yours, along with the restoration of all of your blocked constituents to your social media platforms. 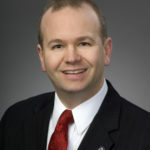 Surprise us by showing that the Chair of the Ohio House Education Committee can also be educated.